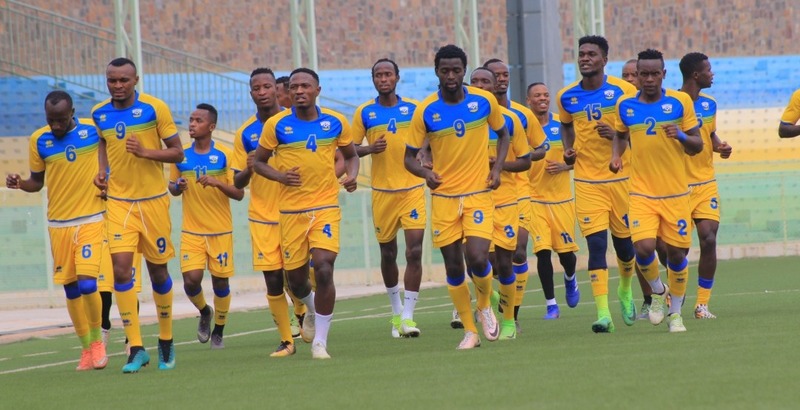 Despite being out of contention for a place in the 2019 AFCON final tournament, Rwanda’s Amavubi team will go into Saturday’s final Group H qualifier against Cote d’Ivoire with a mission of securing a win away from home in Abidjan. The Amavubi head coach Mashami Vincent who named a 23-man strong team believes that the boys are ready for the contest. ‘We have named a strong team and our mission is to go and win this final qualifying match against Cote d’Ivoire. We are out of the Egypt 2019 final tournament but we believe finishing on a bright note will wrap up this campaign which was not easy for us,’ added Mashami. The 23-man travelling squad includes all the foreign-based players led by forward Kagere Meddie who arrived in the country on Wednesday morning after featuring for Tanzanian side SC Simba in their Tuesday’s league match against Ruvu Shooting where he scored the second goal. Players omitted include APR Fc duo of Butera Andrew and Nshimiyimana Amran, Rayon Sports FC defender Hussein Habimana and Mukura VS centre back Iragire Said. The Amavubi team delegation departs for Abidjan on Wednesday night aboard Ethiopian Airways. Upon arrival in Abidjan on Thursday, Amavubi will hold their final training session at Stade Félix Houphouët-Boigny on Friday ahead of Saturday crucial clash against the Elephants of Africa. Despite being out of contention for a place in the Africa’s final tournament which will be held in Egypt, Amavubi will be aiming for a victory over the Elephants. Rwanda is placed bottom of Group H with only two points from five games, three adrift of third-placed CAR. Guinea top the group with 11 points followed by former African champions Ivory Coast with 8 points. Goalkeepers: Rwabugiri Omar (Mukura VS&L), Kimenyi Yves (APR FC) and Mvuyekure Emery (Tusker FC, Kenya). Defenders: Rwatubyaye Abdoul (Sporting KC, USA), Nirisarike Salomon (FC Tubize, Belgium), Manzi Thierry (Rayon Sports FC), Buregeya Prince (APR FC), Fitina Ombolenga (APR FC), Imanishimwe Emmanuel (APR FC), Rutanga Eric (Rayon Sports FC) and Iradukunda Eric (Rayon sports FC). Forwards: Kagere Meddie (SC Simba, Tanzania), Tuyisenge Jacques (Gor Mahia, Kenya), Hakizimana Muhadjiri (APR FC), Nshuti Dominique Savio (APR FC), Nizeyimana Juma (Kiyovu Sports), Byiringiro Lague (APR FC) and Iradukunda Bertrand (Mukura VS&L).